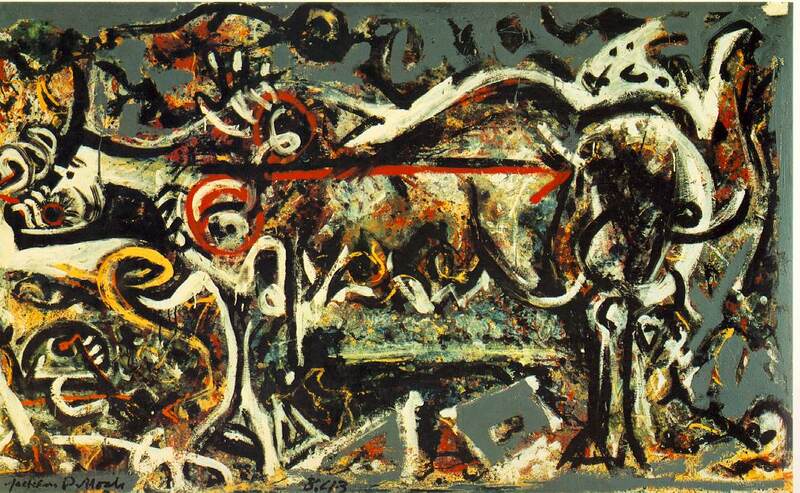 Jackson Pollock is one of the most famous and commercial artists of the 20th century. 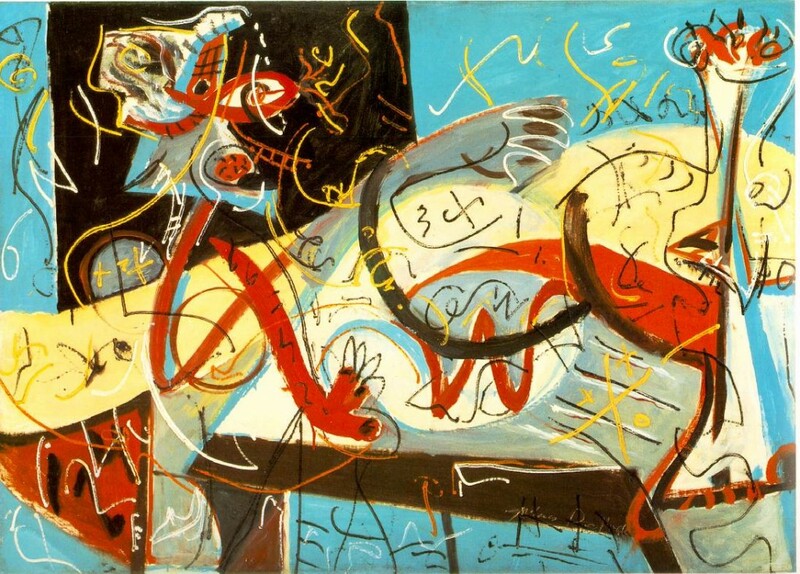 Known for his extravagant technique on large canvases, Pollock was a leading figure for the abstract expressionistic art of the 50s. 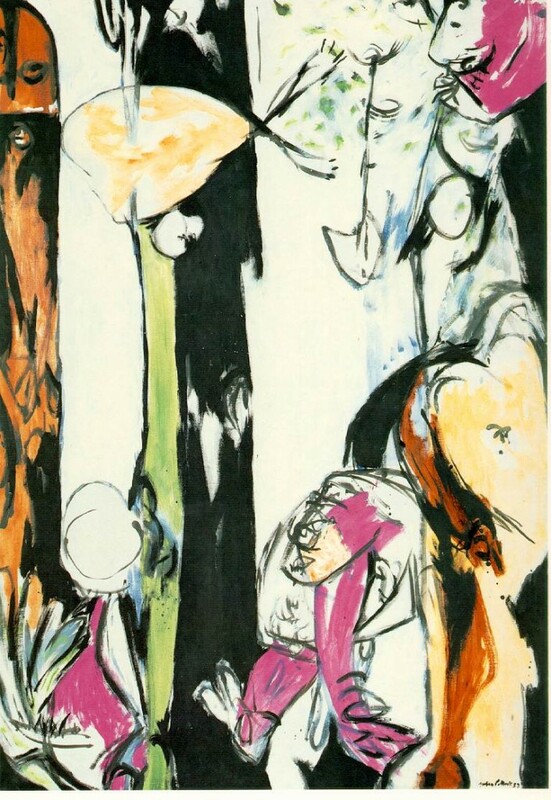 His paintings were the symbol, not only for the art and the artists of the postwar era, but for the culture, the society and the politic scene in America, as well. 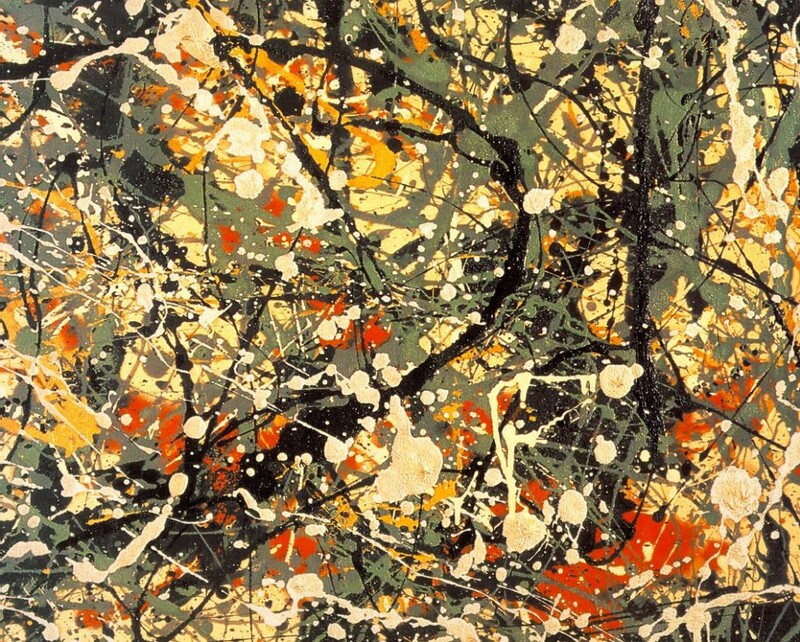 And while his involvement in the abstract expressionistic movement, and the work he produced during the 50s, is what made Pollock a known and successful artist, the technique and themes of his earlier works are not even close to the conscienceless expression of his action painting. 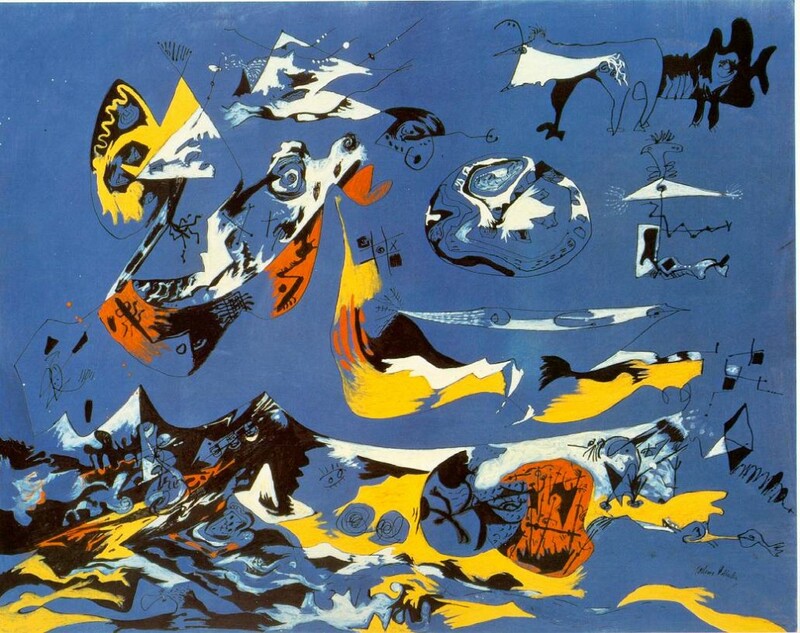 After his studies at the Art Students’ League, New York, he worked with the regionalist painter Thomas Hart Benton. 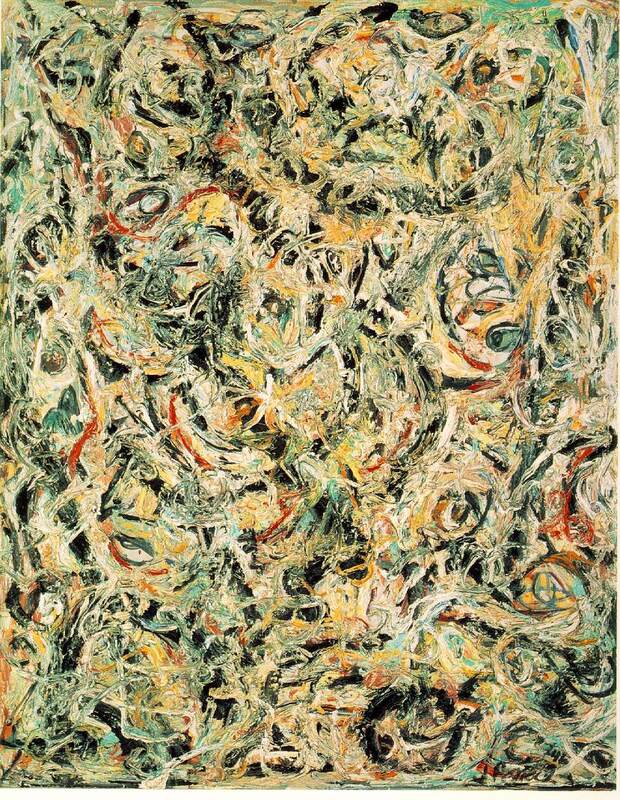 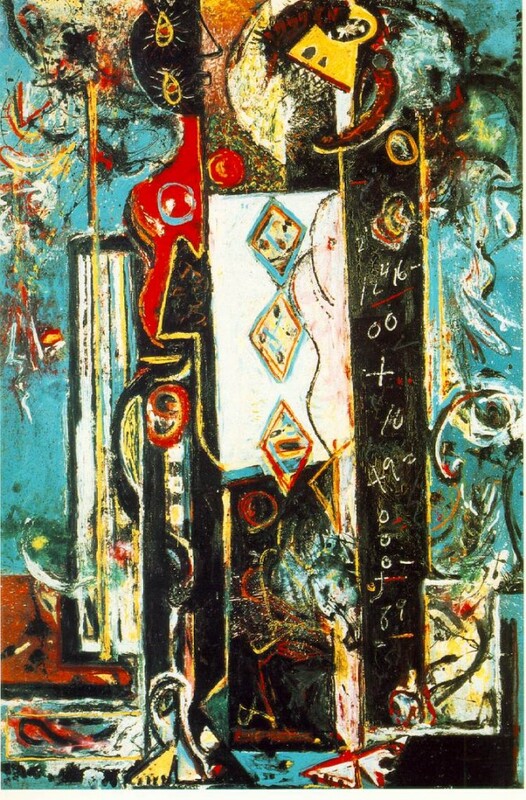 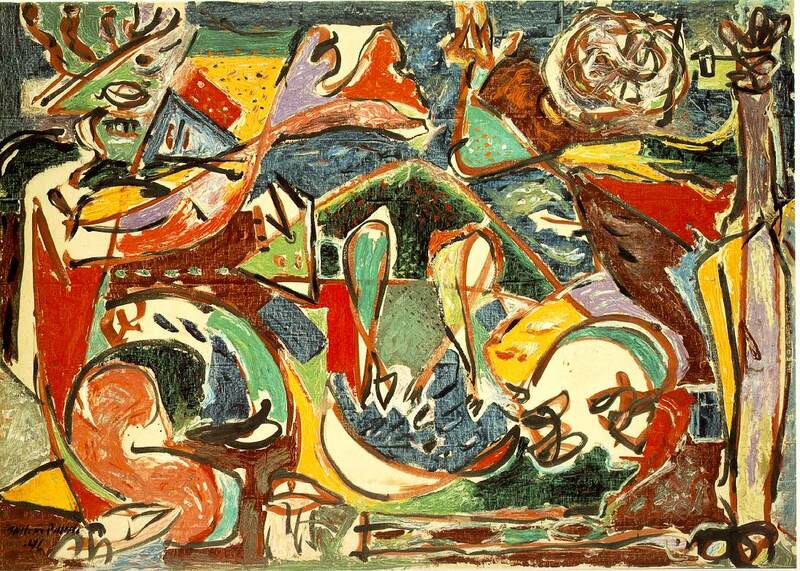 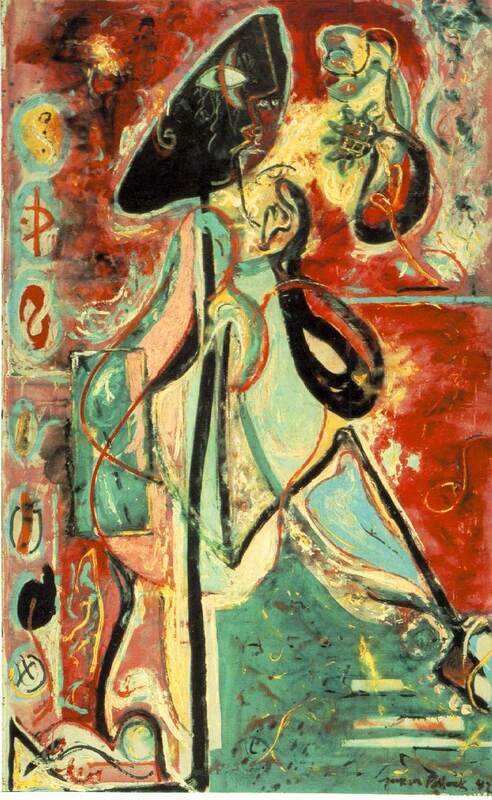 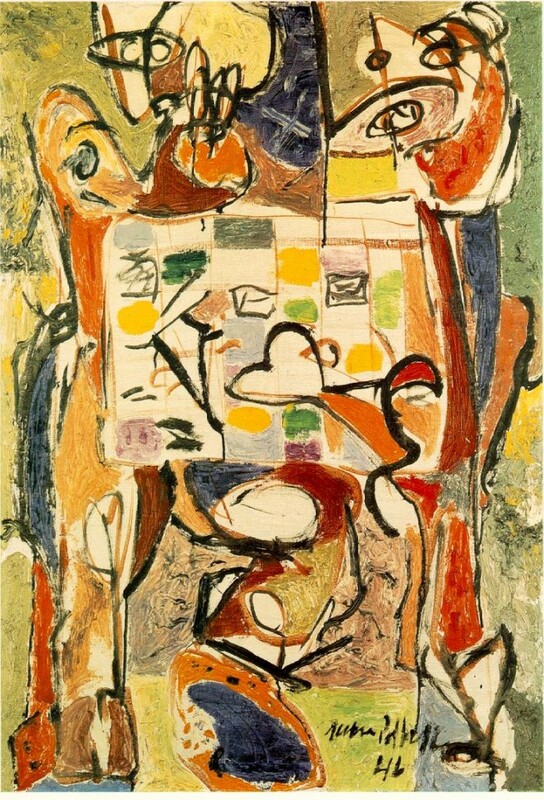 Apart from regionalism, Pollock also got influenced by surrealism, while the works of Mexican muralist painters, like Diego Riviera, inspired his early painting technique. In these works below, you will notice the restlessness of Pollock’s painting, as he maniacally experiments on how, what and why he should paint. 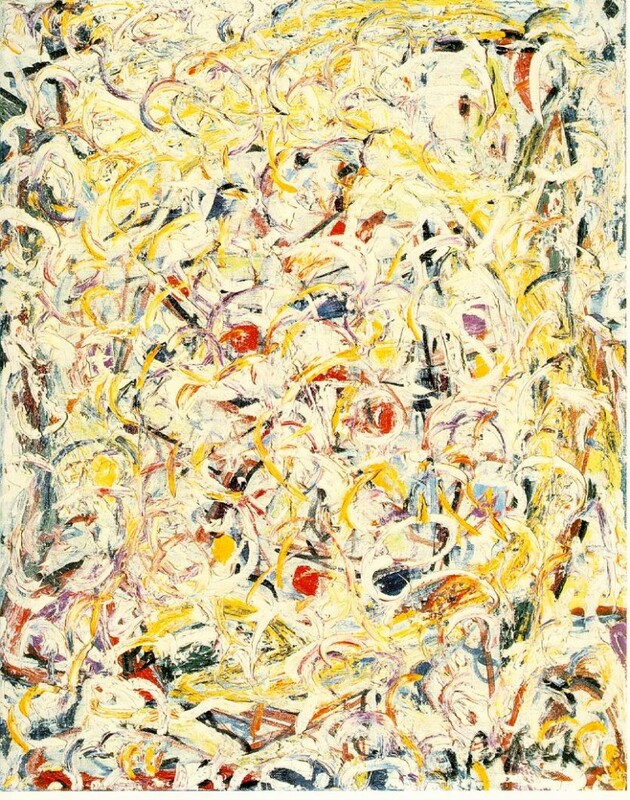 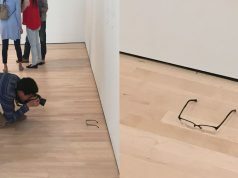 Constantly questioning and changing everything in his style, his abstract brushstrokes showcase how he felt the need to move, making random artistic gestures, instead of creating according to a drawing scheme.